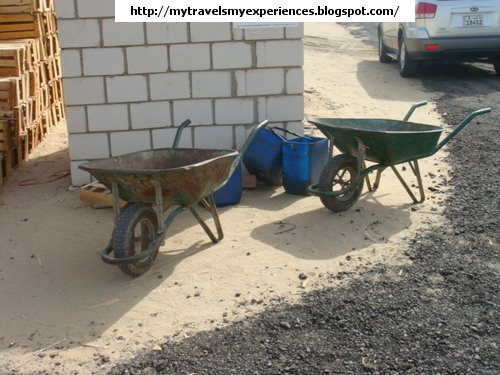 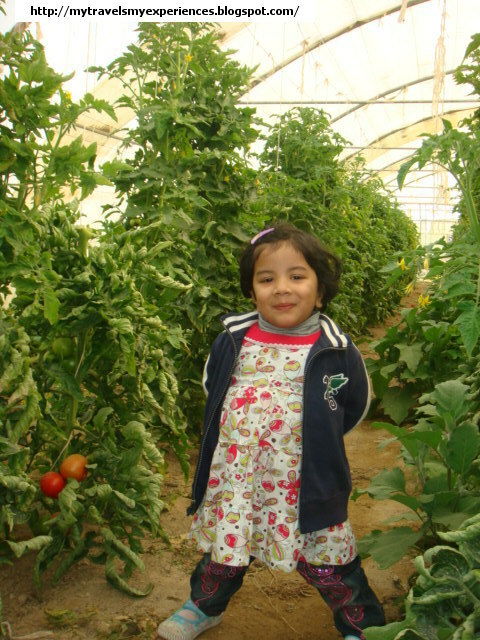 There are so many things to write and so many pictures to share about Wafra that it is not possible to post in ONE post. So I have made sub-divisions. 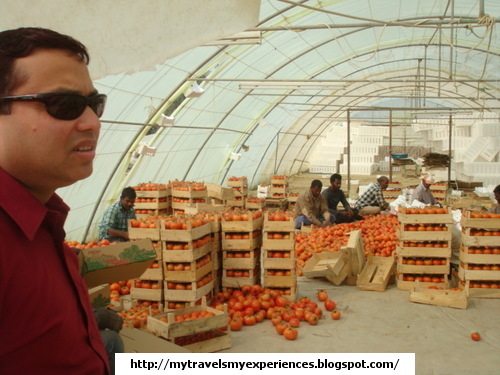 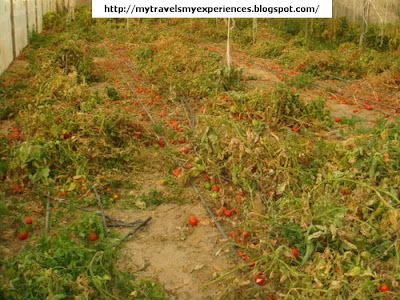 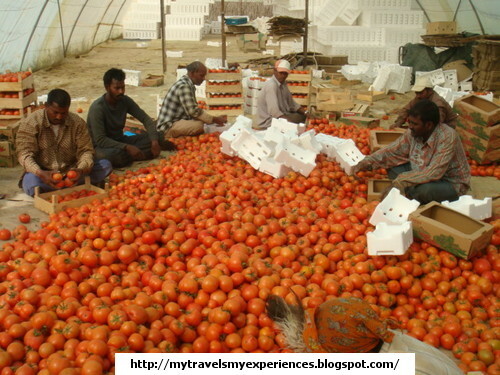 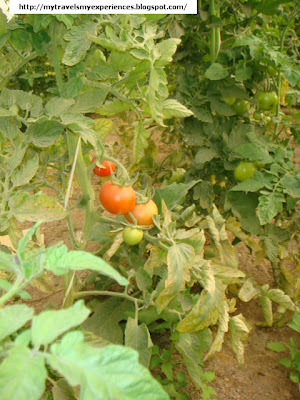 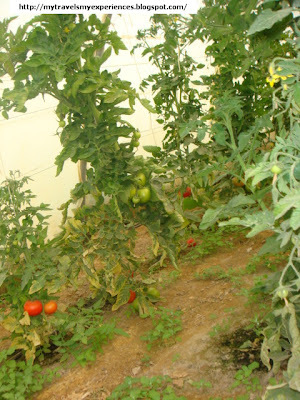 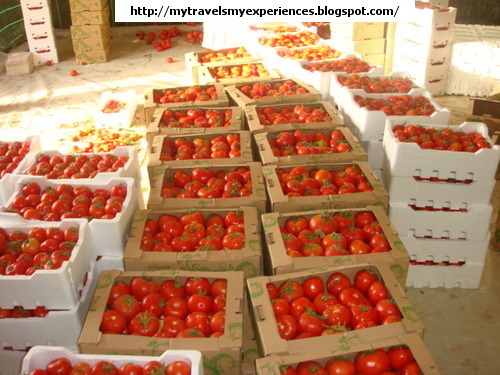 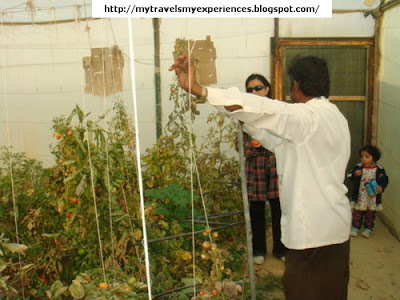 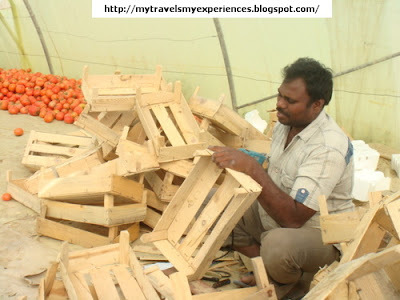 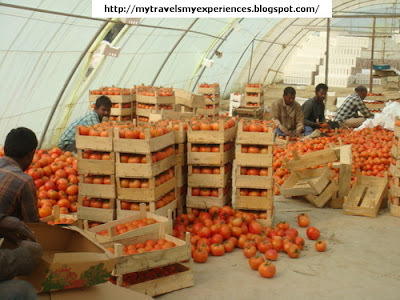 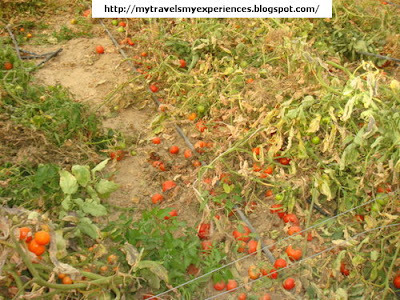 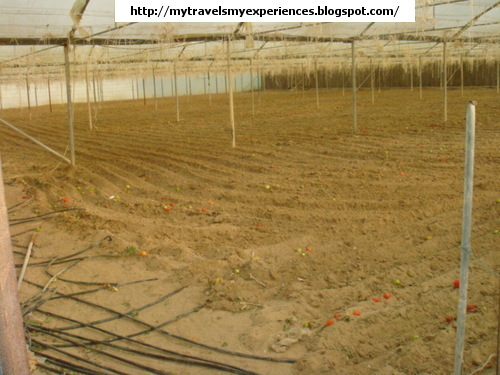 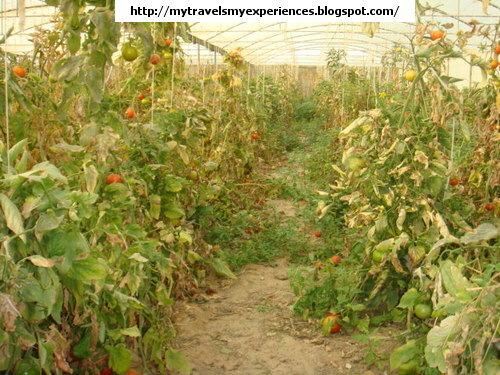 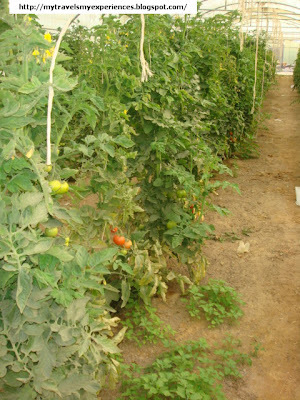 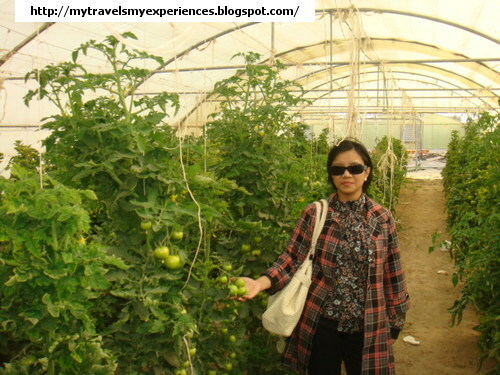 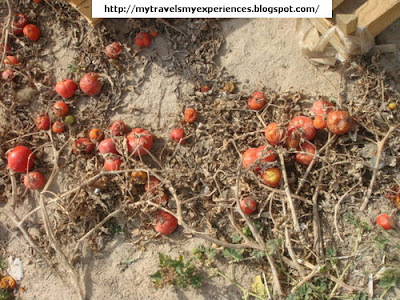 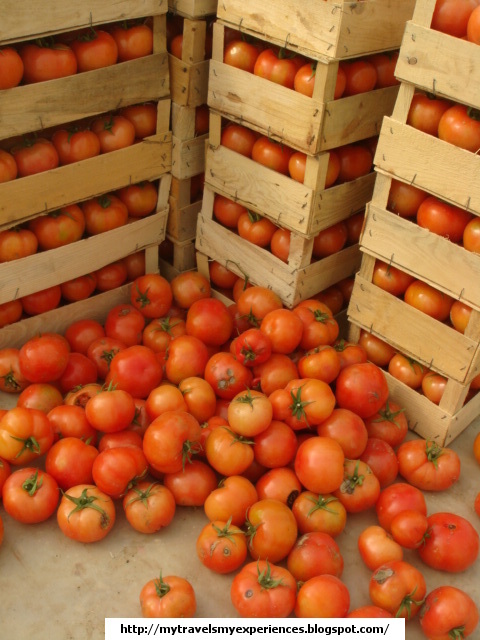 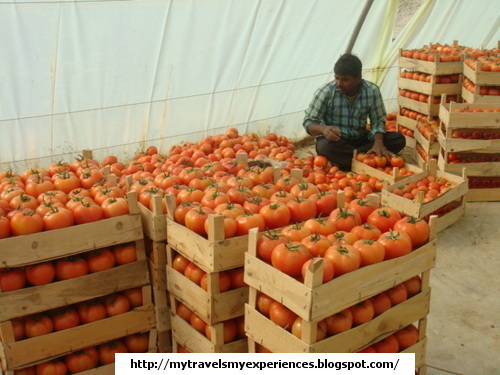 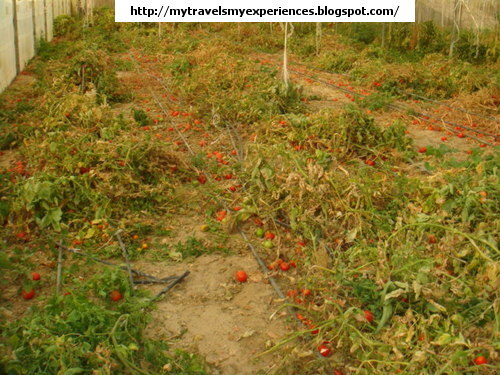 I was astonished to see such huge quantity of tomatoes. 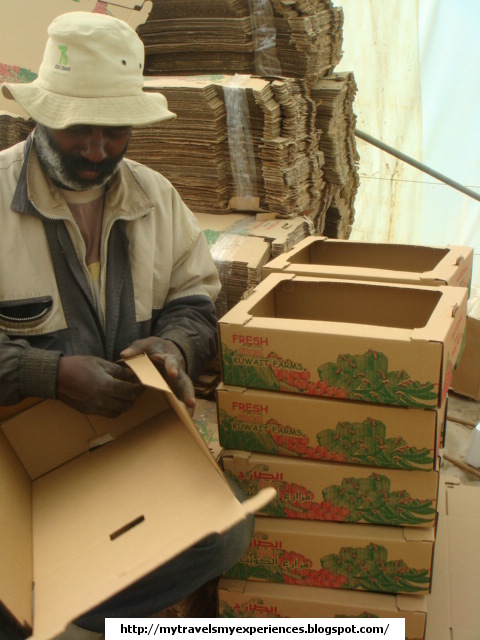 The farmers were busy picking and packing them to be sent to the market. 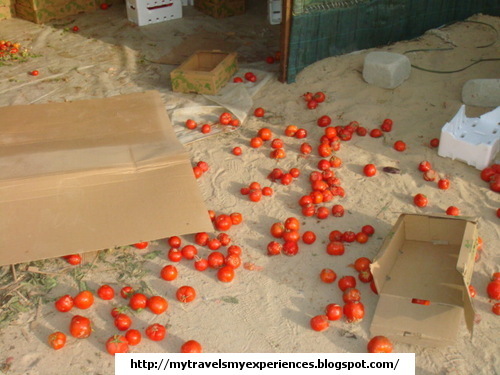 I was feeling bad that so many tomatoes are wasted. The care-taker Raju explained me that they don't have enough labor and also they have to clean the field and plant new tomato trees. 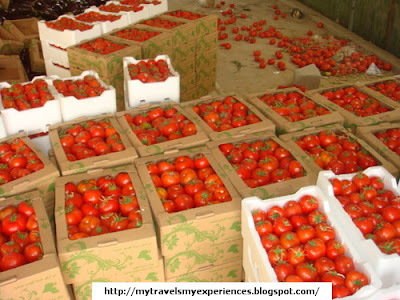 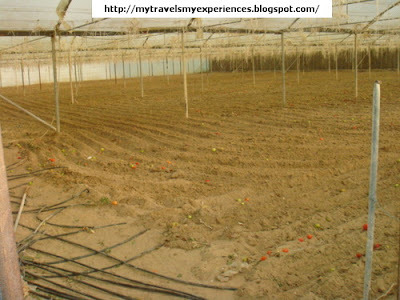 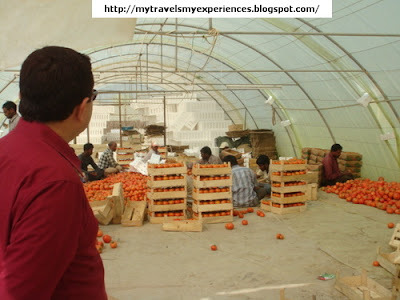 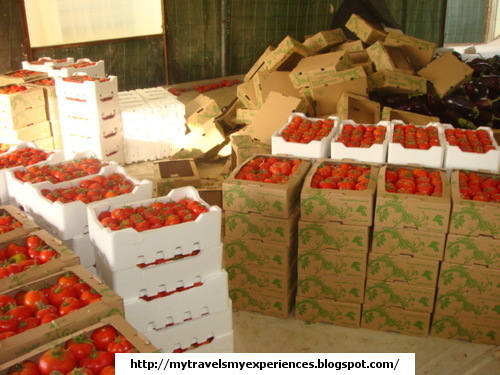 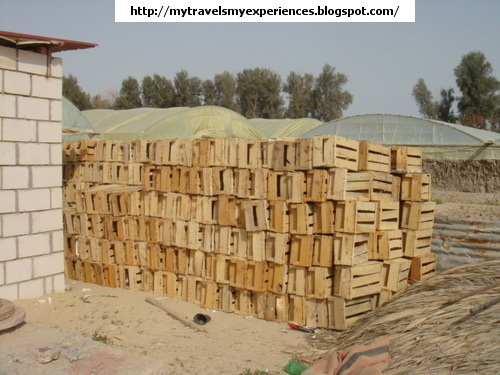 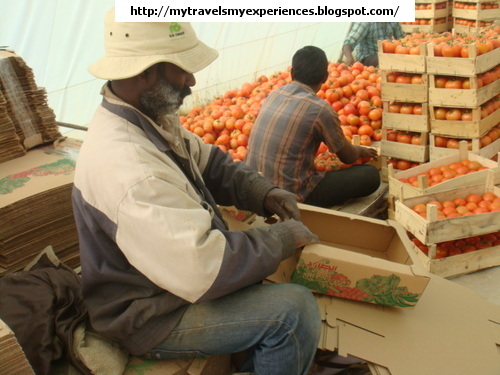 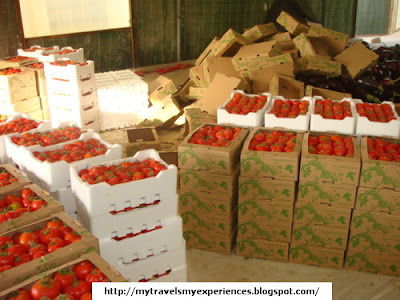 They select and pack the best and fresh tomatoes. 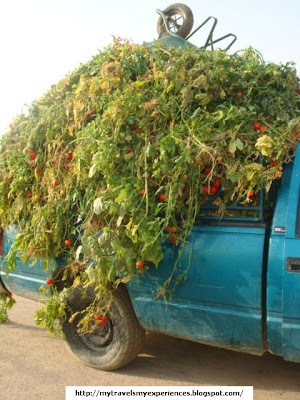 Those rotten are not packed. 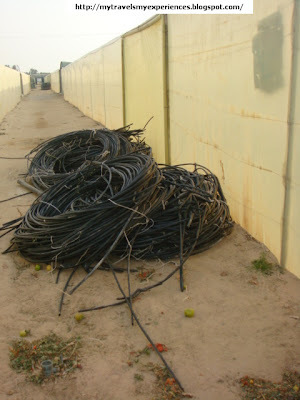 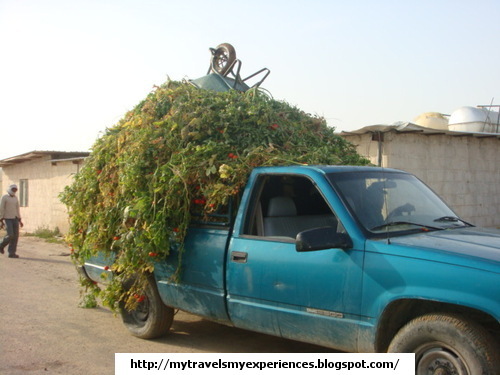 And the tress along with tomatoes are uprooted and taken by their small vans to feed animals of their poultry farms and the other animals of the farms.